The Silver rearview License Plate camera is mounted by screwing your current license plate screws through its brackets; it’s a very simple installation. The camera can also be adjusted by angling the camera up or down so you can get the perfect view for your car. 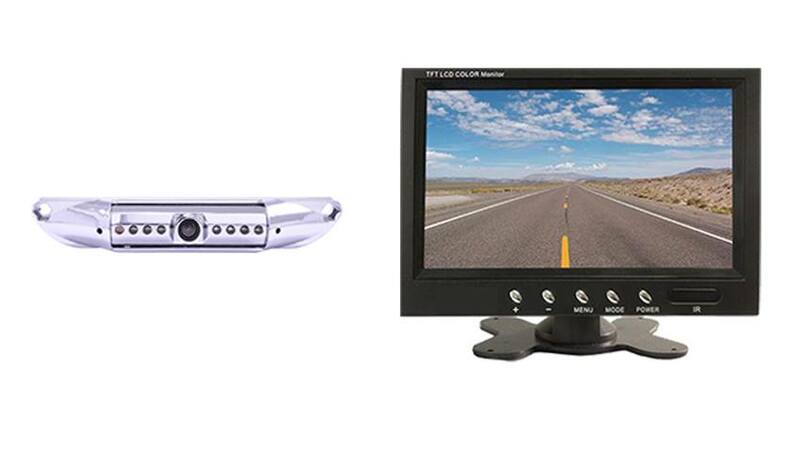 The CCD lens is the clearest and highest quality camera TadiBrothers sells, also known as an HD Backup Camera. There is no need to drill any holes or install mounting brackets. The camera has a 120° angle which is best for Cars, SUVs, and Trucks. With 120° everything behind the vehicle can easily be seen, it is also color, waterproof and has military grade night vision. The camera and mount are made of steel for ultimate durability in the roughest weather conditions. "I ordered SKU25329 with 7" screen and 170 degree camera. It worked great for a couple of weeks, then the camera quit. I notified Tadi-Brothers and they sent another one express mail, so I received it in a couple of days. So far this one works great, but they did not add the 170 degree view, but did add the grid lines which we did not have before. I'm not going to exchange, since Geek Squad found the problem and installed the replacement at no charge. They did the original installation, but was very surprised they did not charge for the other two trips, even though it was the product and not the installation that was the problem. Other than that I'm very happy with the product. FYI, I do like the 7" screen, but the 3 1/2 inch would have fit better in my SUV. Also the 170 degree scans from side to side before stopping on the rear view, which I really liked. However, it does have a "fish-eye" view which distorts the edges somewhat."